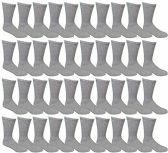 72 Units of Kids Sports Crew Socks, Wholesale Bulk Pack Athletic Sock for Girls and Boys, by SOCKSNBULK (Gray, 4-6) - Girls Crew Socks at low wholesale prices. alltimetrading.com offers Girls Crew Socks at bulk discounted prices. SKU: 2041193 Free same day shipping. SKU: 2041201 Free same day shipping. SKU: 2041209 Free same day shipping. SKU: 2041217 Free same day shipping. SKU: 2041225 Free same day shipping. SKU: 2041233 Free same day shipping. SKU: 2041241 Free same day shipping.